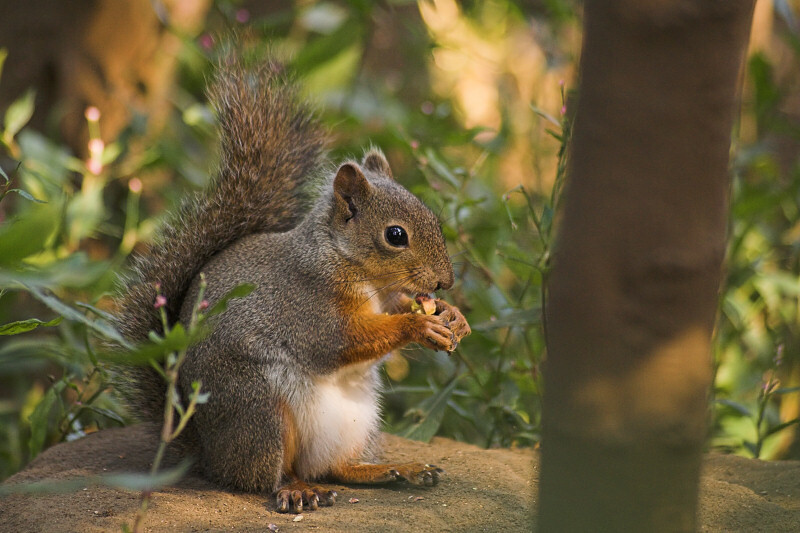 Children | Be a Gray Squirrel! Have you ever hidden a special treat so that you could eat it later on? That is what squirrels often do. They hide nuts and then find them again when they are hungry. When you memorize Bible verses, you are hiding a nourishing treasure— God says it is your food! He tells us that we cannot live only by eating food, but by every word that he speaks. If we do not know his Words then we will be hungry, REALLY hungry. This blog site is to help you memorize God's Word so you will feel full and happy. Each blog post in most categories has either an an image or a word that you can click on, and a new web page will appear. This page is a "fillable form" pdf file. You can download it to your computer, open it, type into it, and save it. You open it by using a program called "Adobe Reader." If you need to download Adobe Reader, go here. Get started by clicking here to open a .pdf that will help you to memorize Psalm 4:3. You could just type without saving your work, but if you save it to your computer, you can then email it to a friend or your grandparents. The Categories menu above will show you a list of exercise pages.